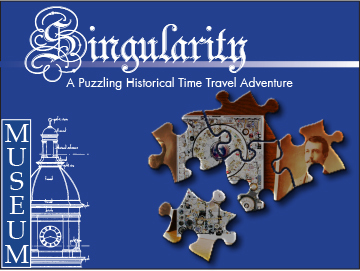 Take a “step back in time” and learn about Bitter Root Valley history in this “puzzling, historical, time travel adventure.” Your uncle, Nikola Tesla, has left you a mysterious device that transports you back in time, where you inadvertently alter history in the Bitter Root Valley. 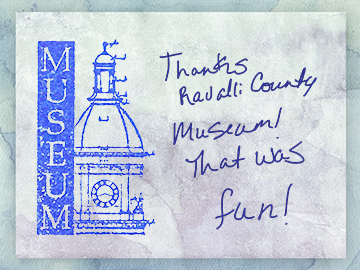 Tour the Museum and follow the clues to answer riddles, solve the puzzle and restore the historical timeline! Letterboxing combines treasure-hunting with rubber stamp artistry. Find our hidden letterboxes by following clues. Be sure to sign our letterbox logbooks to show you have been here and successfully solved the puzzles. Want to know more about letterboxing? Visit atlasquest.com to find out more about this exciting, educational, artistic adventure! Ready to search for this History Mystery? Log on to www.geocaching.com to get coordinates…be prepared to bring your best sleuthing skills, as this one can be tough! Not sure what a geocache is? Geocaching is an interactive outdoor game played around the world where participates search for “caches” using GPS coordinates. 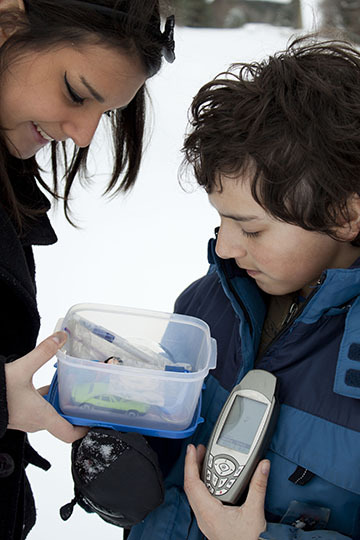 Scavenger hunts are a great way to encourage learning with your child (or your class) in a fun and innovative way. 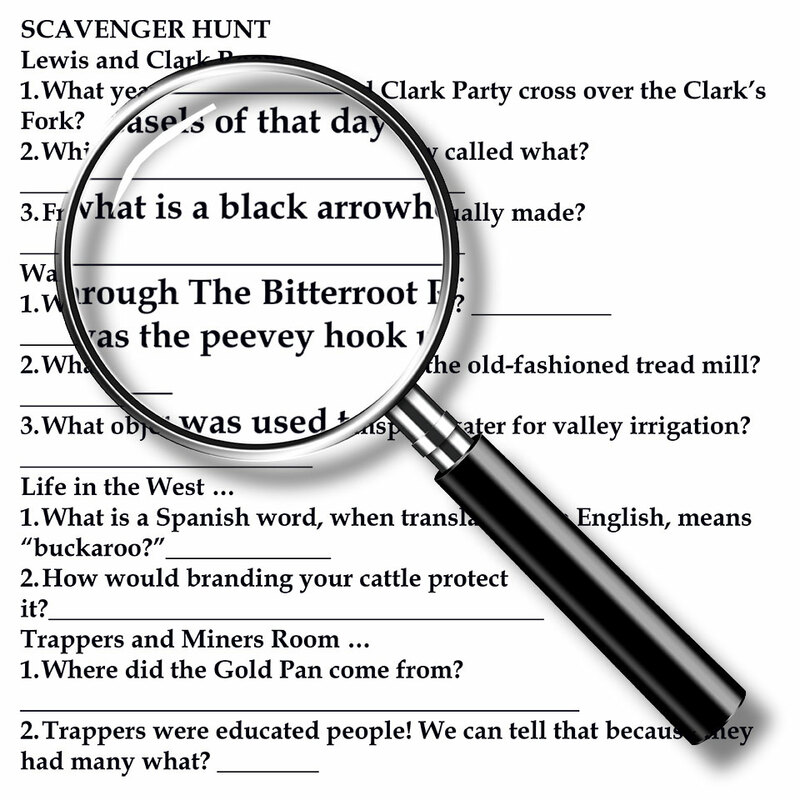 Become a “history sleuth” as you tour the Museum looking for the clues to answer the questions on your scavenger hunt sheet. By the time you’re done playing this game, you’ll have learned lots about the Bitter Root Valley, it’s history, culture, and more! Join us on Saturday mornings, between 10am and 12pm for FREE, hands-on activities for kids! See full list of activities and dates. Click Here to Learn more About Sponsoring our Education Programs and Games.